In the blink of an eye my littlest love turned one! It is crazy how life just passes you by. I have had a flood of emotions this past week and to be honest I have been dreading my little Jewel's birthday for the entire month of April. Maybe you could say I am not big on change...I like the familiar, I like comfort. There is something that makes me happy about having a baby to hold in my arms and for some reason I fear my girls getting older. Maybe I am scared that one day I will not be able to protect them like I want to, or maybe I don't like to think about them one day not being with me 24/7 who knows...but birthdays always bring about a little pain in my heart. I have been learning the past 2 years to cherish the moment and enjoy the season. 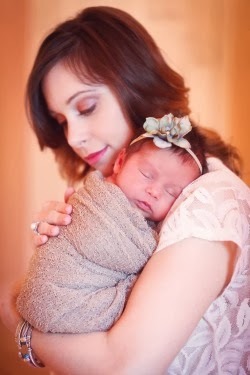 Although I would absolutely keep my little Jewel an infant forever I can't and it is so true that there is so much joy and fun in each and every stage in a child's life (at least that is what I have found in my long 2.5 years of mothering) haha. So yesterday on April 22nd 2014, I decided to rejoice! I rejoiced because God blessed me with a healthy baby girl, I rejoiced because she had a wonderful 1st year of life and I rejoiced because out of every woman in the world I was the lucky blessed one chosen to be the Mama of Julianna Faith Alcala. Jewel had a fun birthday with pizza, cake, balloons and a party hat (courtesy of big sister Josse the party planner). We will be celebrating her life all week long and having a big circus party on Saturday! I love you my precious, angel, baby. You truly are a "jewel" to our family and our life is so much better because of you. I can not wait to watch you grow and witness the incredible things things you are going to do for the Kingdom of God. You are going to be a mighty, fierce world changer for the Lord and I am honored to be your mama.